There's a lot to be said for Todd Haynes, one of the movie-making's most interesting auteurs, but crowd pleasing is not likely a pair of words you'd ever envision would be ascribed to the outsider filmmaker. With a filmography that includes art house narratives like Velvet Goldmine and I'm Not There, and slow-moving heartbreakers like Carol and Far From Heaven, it's hard to envision Haynes would hold an interest in playing to general audiences, much less even be equipped for the task. This makes Wonderstruck, his new collaboration with children's author Brian Selznick, all the more curious - a film clearly aimed at tugging the heartstrings of Middle America with its emotional core and somewhat maudlin leanings. Unsurprisingly, the most worthwhile aspects of the endeavor are what Haynes brings to the table himself, power-lifting material that, on paper, is largely underwhelming and occasionally approaches being outright rote. Selznick is no stranger to working with unlikely partners for the big screen adaptation of his material. His 2007 book, The Invention of Hugo Cabret, was pulled together with a whole lot of whiz-bang by Martin Scorcese into the solidly enjoyable, but ultimately forgettable adventure romp, Hugo. What Scorcese had to his advantage here that Haynes lacks is that the originating book built a colorful and involving world, while much of Wonderstruck is centered on the real world, regardless of time period, and in turn finds itself relying less of visual merriment and into the icky mire of sentimentality. A chord that, to this day, is not exactly one of Haynes' key strengths. Wonderstruck is a bifurcated tale that begins in a woods-enclosed Minnesota home. Ben (Oakes Fegley) is a boy haunted by the loss of his mother (Michelle Williams), and the fact that he never got a chance to know his father. Now living with his aunt, uncle, and cousin, he discovers a bookmark written to his mother by the man he presumes to be his father within a book of his mothers entitled "Wonderstruck". Finding a telephone number on the bookmark, he attempts to contact this mysterious individual, and at that very same time, a bolt of lightning strikes the telephone line and places Ben in the hospital, having lost all of his hearing. Interspersed between Ben's story, is that of a girl living in Hoboken in 1927, who also happens to be deaf, named Rose (Millicent Simmons). Rose is kept at home by her father (James Urbaniak) and tutored in sign language. But Rose's heart is with her long-absent actress mother (Julianne Moore), for whom she steals away from home to head to Manhattan. Eventually these two stories intertwine more and more until finally meeting in a fixed fashion. How effectively it does so will be determined by your ability to absorb a ton of exposition and some pretty gaudy schlock, despite being inventively beautiful in how it's delivered. In a way, that final passage is quite the overview for the entire experience of watching Wonderstruck in the macro-sense. Haynes plays with silence to a strong degree throughout, obviously in an effort to approximate the experience of its two leads. And in these sequences there is a good deal of lushness that supports just why Haynes took on this task in the first place. While the "A" plot of Ben's is set in the 70's and flourishes itself with the trappings of that era, Rose's "B" plot is completely black and white, and relayed to the audience much like a silent film. There is a commitment there to invention and context that allows everything to shine just a bit brighter when those moments begin. The Ben side of things also holds its fair share of quiet times, and indeed starts to really click when it just wallows in the freedom of childhood and wonderment, particularly when both he and his newfound friend Jamie (Jaden Michael) are simply having fun in the halls of the Museum of Natural History. Haynes knows how to make those small moments sing, and in its way, this is where it almost feels of a piece with his recent Carol, even to the point of maybe even playing to a subtle hint at queerness and how those who struggle to find a place to belong can at times find one another. The problems set in whenever the silence that envelops this dual journey is broken by clunky dialogue, which often approaches groan-inducing. Just when you find yourself fully giving in to the spell Haynes and especially Carter Burwell, with his magical score, are crafting, in comes Ben with some broad pronouncement that desperately needed another go in the re-write process. In truth, the canvas from which Haynes is working is elevated by his ability to recreate eras of the past and their very specific styles of filmmaking rather than anything that's presented within the tale itself. It's a case of incredible style, not just overshadowing, but completely enveloping an almost complete lack of substance. It's also just really unclear who the intended audience for Wonderstruck is, and commercial prospects aside, that lends itself to a really confused tonal dissonance throughout. When characters are speaking, it's clear this is meant to be family-friendly fare, when Haynes really takes over and things quiet down, it's impossible to imagine those prone to shifting in their seat are going to remain entertained. 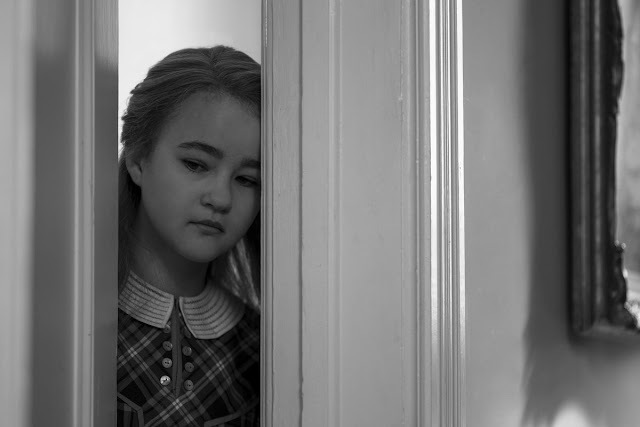 It's a perplexing proposition for sure, and while it shares some of the same mixed target DNA that drove something like Moonrise Kingdom, Wonderstruck is a much more soulless venture and its attempts to win over the audience are never quite earned enough. A fascinating peek into how a tremendous filmmaker can hone a script and make a flashier presentation out of it below the line, but lags where its fundamentals are most key. Minor Haynes is still an interesting curio, particularly given the stylistic acumen on display, but it's easily his least effective film thus far.